According to misinformation from sources such as Sky News and scientist Peter Ridd, the Great Barrier Reef is in perfect health, writes DeSmogBlog's Graham Readfearn. AUSTRALIA'S GREAT BARRIER REEF is in some serious trouble, with the latest research in the journal Nature showing the number of new corals has dropped by 89%. Ridd’s saga is a long one, but here’s the short version (and, while we're here, in the interests of full disclosure, in the time since I first started writing about Ridd's case, I've taken a part-time job at an Australian marine conservation charity as a media adviser). Now, the IPA has gone all out to create a narrative around Ridd’s case. Before the court case, Rozner traveled from Melbourne to Townsville (that’s a three-hour flight, folks) to make an 11-minute movie with Ridd. Rozner delivered daily video “reports” from outside the Brisbane courthouse and gave multiple interviews to Sky News shows where presenters including Alan Jones, Peta Credlin, Andrew Bolt, Chris Kenny and Rowan Dean gushed in their admiration for Ridd. Collectively, they have painted an alternate reality where Ridd is a whistleblowing hero who refuses to be beaten down by a tyrannical and powerful employer. His case is not about whether or not he broke the university’s code of conduct and leveled a serious accusation at his colleagues, but has instead been blown up into what Rozner describes as “the most significant case about academic freedom and free speech in Australian legal history”. Whether or not the judge decides if James Cook University was right to discipline and then fire Ridd, or whether he breached his employment agreement, has become lost in a manufactured scandal. Sky News pundits have made some remarkable – and wrong – claims about the case and about Ridd. Let’s take a few of these claims in turn, starting with the most egregious example of cherry-picking and selective scepticism. Over and over again, presenters have accepted a claim that Ridd has shown the mainstream science to be shoddy. Yet none of his supporters have mentioned what happened when Ridd did outline his concerns in detail in a November 2017 “viewpoint” article in a journal. Ridd and a former colleague, Piers Larcombe, claimed they had found flaws in nine scientific papers published between 2003 and 2013, mostly by scientists at the Australian Institute of Marine Science (AIMS). But in a response, the AIMS scientists wrote that Ridd’s criticism was based on ‘misinterpretation, selective use of data and oversimplification’. Neither Ridd, nor Rozner, nor any of the Sky News presenters have mentioned this, because to do so would undermine Ridd’s hero status. Excerpts from Rozner’s film have been used at least twice by Sky News. 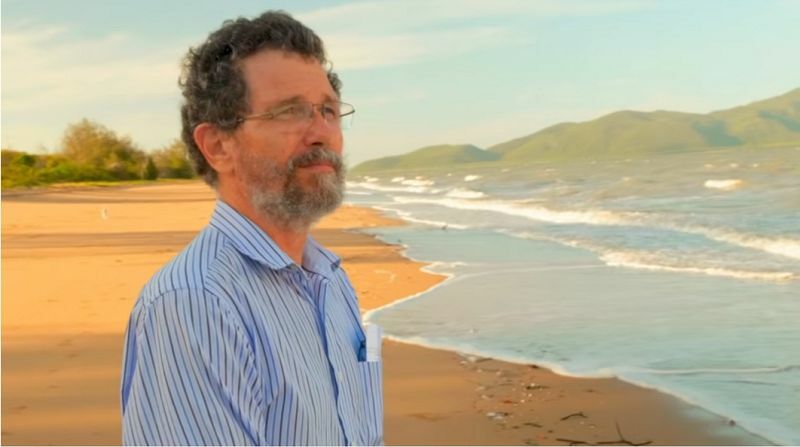 Among footage of Ridd tending to his garden pond and standing on a beach gazing wistfully out at the ocean, Ridd says: “The reef is in fantastic shape”. Ridd said what had sparked the whole episode was an email to a journalist in 2016 claiming that pictures of the Reef at Stone Island were being misused by authorities to show how corals were degrading over time. His claims were eventually published uncritically by Murdoch’s The Australian newspaper. But, if The Australian had checked Ridd’s story to see if the Great Barrier Reef Marine Park Authority were guilty of a lack of scepticism, they would have found something different. Essentially, they would have found a strawman. Or, to put it another way, the corals naturally adjust to warmer temperatures by dying, after which they remain dead. Naturally. The “50%” claim was made by Ridd in his viewpoint article, but it actually referred to a study about replication of results in biomedical science. Rozner’s movie is, admittedly, slick. But here’s why. In late 2018, Rozner and IPA colleague Daniel Wild traveled to Los Angeles for a four-day video workshop put on by the Atlas Network — a coordinating group of more than 400 conservative think tanks around the world. Atlas itself has been funded by the likes of the Charles Koch Foundation, ExxonMobil, and Donors Trust (a way for rich folk to donate to conservative causes without being identified). Once Ridd decided to sue James Cook University, he started a crowdfunding campaign, which, thanks to promotions from the IPA and climate science denialists around the world, raised more than AU$250,000. Ridd then hired a team of lawyers including Stuart Wood QC, described as one of the country’s leading industrial relations barristers. He won’t be cheap — sources say he usually charges upwards of AU$10,000 a day. In a segment on another Sky News show, Peta Credlin, who was Chief of Staff to former Prime Minister Tony Abbott, said Peter Ridd was “world-renowned” as a Reef scientist and that in Australia “you can’t find a better expert on the Great Barrier Reef”. One way of measuring what scientists think of each other’s work is to look at how many times scientists cite the studies of other people. Ridd does not have a Google Scholar profile (the easiest place to check citations), but his ResearchGate page shows his work has been cited 3,113 times. For comparison, according to ResearchGate, Terry Hughes has been cited 41,600 times. Professor Ove Hoegh-Guldberg of the University of Queensland – a pioneer of coral bleaching research – has also been cited 41,600 times. I mention Hoegh-Guldberg, because during one of the Rozner interviews, Andrew Bolt claimed the Queensland scientist had been forced to back-pedal on his claims over the years. Alan Jones, a Sydney shock jock who thinks climate science is “witchcraft”, has also tried to pain Ridd as the plucky underdog going up against a big institution. Unequal? Unequal, except for the fact that it was Ridd who chose to take his employer to court, not the other way around. Unequal, except for the support of an entire news channel and a quarter-of-a-million dollars to hire a top legal team. And unequal, except for the support of a think tank that has accepted at least AU$4.5 million in funding since 2016 from Australia’s richest person, mining magnate Gina Rinehart. This story was originally published on DeSmogBlog.com. You can follow Graham Readfearn on Twitter @Readfearn. Don't be fooled. Subscribe to IA for just $5.